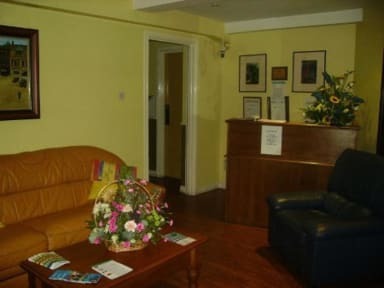 Fully equipped for all your needs, we have double, triple and family rooms, all featuring en-suite bathrooms, television, hairdryers and tea/coffee-making facilities. Towels are provided and cots are available if needed. 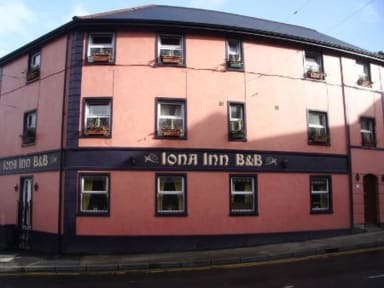 Next door guests will find Iona House, a 19th-century pub where a fun atmosphere and a friendly welcome are always guaranteed. Here at Iona Inn we have collected numerous photos and items of historical information for those who are visiting Derry for the first time, or who are interested in finding out a little more about the city. Our brilliant staff will do whatever they can to make sure you have a great time in the Maiden City. Parking is available in a small private car park for 12 cars, or a larger car park holding approximately 50 cars. WiFi is available in public areas.